Jewelry designer since 1994, 2 times a year creates new models: the winter's collection and the summer's collection. Immersed in nature, where his workshop it's placed, Oana is inspired by nature and each new piece is an explosion of color, harmony and radiance. 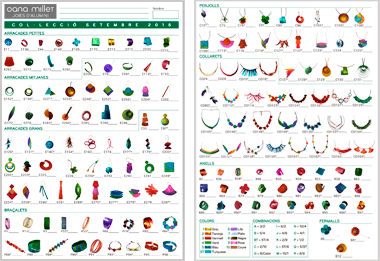 Here you will find the new collections, all the jewelry of the catalog and walk through the story, production and finishing of this aluminum jewelry.